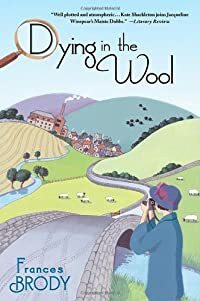 Dying in the Wool by Frances Brody: Synopsis and Online Purchase Options. Now Joshua's daughter is getting married and wants one last attempt at finding her father. Has he run off with his mistress, or was he murdered for his mounting coffers? Kate Shackleton has always loved solving puzzles. So who better to get to the bottom of Joshua's mysterious disappearance?